Home Office officials have praised the work of its comms professionals in averting what could have been a propaganda coup for terror groups - by helping prevent the broadcast of footage showing the killing of an insurgent in Afghanistan. In recent months, some of Britain’s most powerful media outlets have been fighting a legal battle to secure the release of six clips of video footage showing the killing of a wounded Taliban fighter in Afghanistan by Sgt Alexander Blackman in 2011. 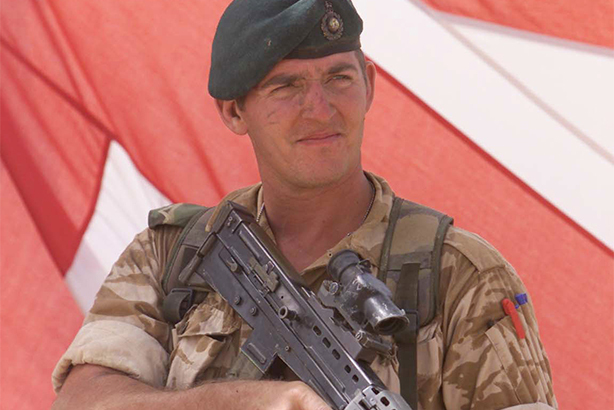 The Royal Marine, who was handed a life sentence for murder in 2013, had his conviction sentence reduced to manslaughter by an appeal court last month and is expected to be released from prison in the near future. The BBC, ITN, Times Newspapers, Sky, Guardian News and Media, and Associated Newspapers went to the Court of Appeal earlier this year, seeking the release of six clips from video footage shot on a helmet cam at the time of the killing. The Ministry of Defence (MoD) agreed to release three of the clips. However, it kept back footage which showed British soldiers verbally abusing the wounded man, dragging him along the ground and throwing him onto his back, before eventually shooting him in the chest at point-blank range. Judges upheld the MoD’s decision and specifically referred to evidence given by Peter Wilson, head of the Research, Information and Communications Unit (RICU) – part of the Office of Security and Counter-Terrorism. In his evidence, Mr Wilson warned: "The presentation of any of this footage will be used as compelling evidence for supporters [of violent Jihad] to act and respond immediately, specifically and violently." He added: "They will use it to evidence and justify the claim that the West is at war with Islam and that it operates outside its own legal restraints; it will trigger a tipping point for many sympathisers who may have been on the verge of active response into immediate violent action. It will in short create a real and immediate risk to life." In their ruling, judges stated: "The evidence before us from Mr Wilson was clear and compelling as to the threat." A Home Office spokesperson told PRWeek that the recent judgement demonstrates that the RICU is "considered to have expertise in CT (counter terrorism) related strategic communications". They did not elaborate, but it is understood that senior civil servants are delighted with the government comms team’s victory over the mainstream media in preventing the disturbing footage from being shown. Click here to subscribe to the new FREE public sector bulletin to receive dedicated public sector news, features and comment straight to your inbox.